In the MAG-254 Micro Console is a latest development - which combines the maximum of technical possibilities. This product meets all the supplier broadband requirements. In this connection, the end user is an unsurpassable allows convenient use. The MAG-254 Micro console meets all modern demands on a multimedia device, including support for streaming media, video on demand (VoD), playback of digital channels in high quality, and access to OTT content (YouTube, Picasa, Online -Kino, weather, social networks and others) and even includes a web browser. The console is suitable for the project organization of interactive television via IP network (IPTV / VoD / OTT) and can be used by Internet providers and their business partners. 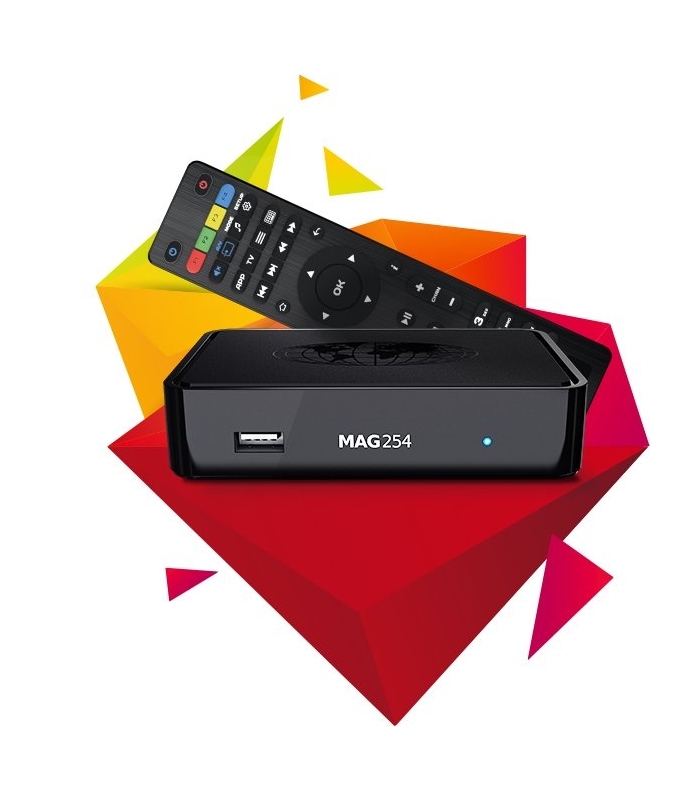 MAG254 features a powerful 650 MHz processor (STiH207), 512 MB RAM and an HDMI 1.4A, which ultimately supports a maximum video resolution. The increased power of the set-top box enables playback to 3D video quality and the use of memory-intensive interactive applications. The set-top box is equipped with two USB ports, allowing connection to the Internet via Wi-Fi, as well as playback of media content from photo and video camera and other media devices. The set-top box has a function of data storage to external media. The maximum audio resolution is produced by an optical audio output S / PDIF connector. In the set-top box the Content Security Systems Secure Media and Verimatrix (only MAG255) has been integrated. MAG254 - a unique open source platform. Ethernet 100 Mbit / sec. Original Software no channels programmed!